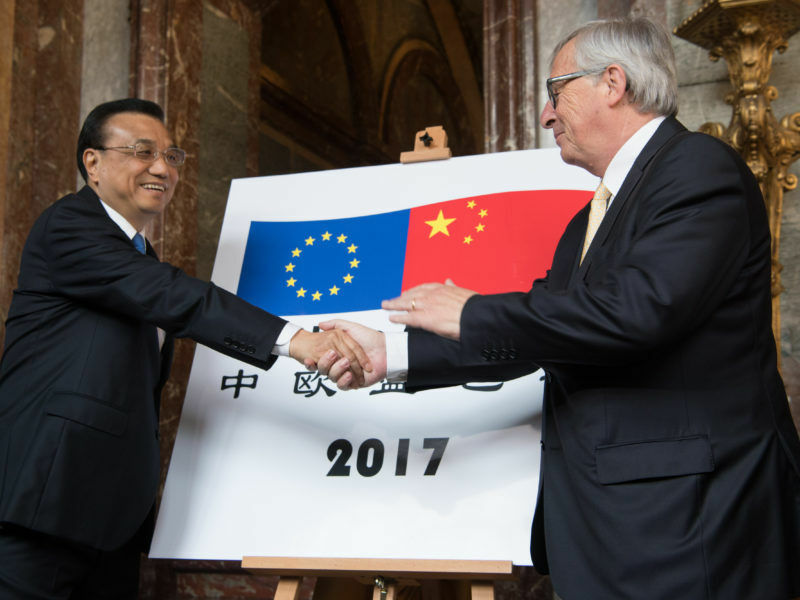 At a time of increased tensions between Brussels and Beijing, the two partners met in Venice on Friday (19 January) to launch the EU-China Tourism Year, hoping to patch up or revitalise relations. The EU and China have common objectives with the EU-China Tourism Year, said European Commissioner Elżbieta Bieńkowska: to improve mutual understanding, encourage cultural exchange and stimulate trade and investment. “This year could be a great opportunity first to enhance people to people but also enhance economic and cultural diplomacy,” she said. China has launched a charm offensive with the EU since US President Donald Trump took office in an effort to find allies amid fears that Trump’s protectionist ‘America First’ policies could undermine it. to China has grown rapidly since 2003 but appears to have reached a plateau and could even decline over the next eight years, according to data from the China National Tourism Administration. Tourism is one of the few sectors, where the EU has an advantage over China. 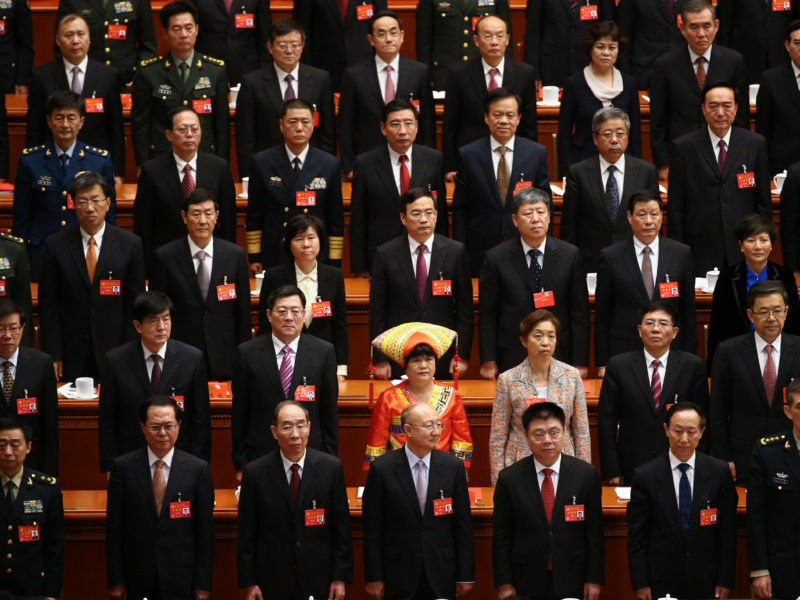 Chinese are quickly becoming the largest group of intercontinental travellers and the EU is determined to lure them not only in the well-known capitals of culture but also in more remote areas of the bloc, according to data from Eurostat, the EU statistics office. In 2016, Chinese arrivals in the EU reached 8.2 million and these numbers are expected to grow substantially faster to 13.9 million by 2021, according to the Commission. In 2015, their consumption per capita reached €2,200, contributing 0.3% to GDP, raising employment by 0.6% and creating around 1.1 million jobs. This could increase to €3,500 in 2020, with a 0.9% contribution to GDP and a 2% increase in employment. At the Commission, they are convinced that the Tourism year is likely to benefit more the EU industry as Chinese tourists travelling to Europe now spend on average more than American visitors. Many of them see Europe as a single destination, visiting three to four countries per trip. The choice of launching the European Year at the Doge’s Palace in Venice makes sense for both sides. China wants to trumpet the importance of its “new silk road” project, the One Belt and One Road Initiative (OBOR), while the EU is keen to emphasise the historical links between the two regions—while avoiding the history of European imperialism in China. 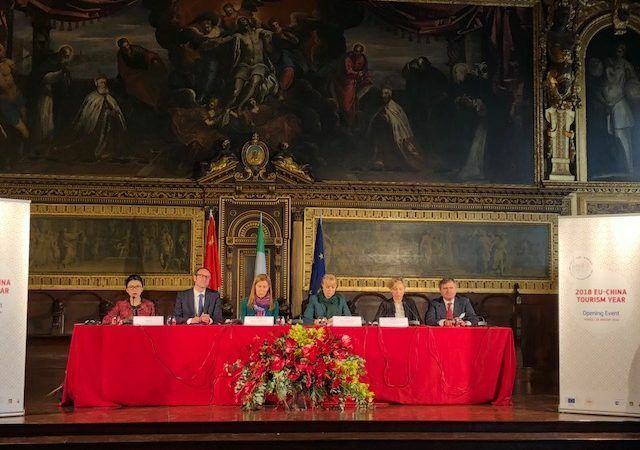 “We are launching the EU-China Tourism Year in Venice, where 700 years ago Marco Polo started his voyage,” said Jinzao Li, chairman of the China National Tourism Administration. “But the idea is to go beyond Venice and well-known tourist destinations”. The idea behind the Tourism year is to open up the off-the-beaten-track destinations. Denmark, which launched the Denmark-China tourism year in 2017, says that Chinese tourism has increased. “The Chinese tourists are interested in visiting our capital Copenhagen and all the traditional sites as the Royal Palace, the Little Mermaid etc. combined with shopping. But they are also interested in visiting other parts of Denmark i.e. the island of Funen and the city of Odense – the birthplace of fairy tale writer Hans Christian Andersen, whose fairy tales are well known in China,” Jan Olsen, CEO of VisitDenmark told EURACTIV. To show the Chinese that Denmark is much more than Copenhagen, Denmark has designed five signature routes, focusing on its castles, food, Viking history, Andersen fairytales, and shopping across Denmark, he said. Slovenian Tourist board Director general, Maja Pak, was also in Venice to promote Slovenia as an attractive destination for Chinese holiday-makers. “In 2018 we are organising different promotional events and attending tourism fairs in China, different PR and social media activities, all with the goal to present Slovenia as a hidden gem in the heart of Europe, a green and safe tourist destination which can offer 5 star experiences to Chinese tourists who are looking for something new, different, off the beaten track,” Pak told EURACTIV. The competition among EU member states is on. Italy also plans to focus on its off-beat destinations to lure Chinese tourists to stay longer, said Dorina Bianchi, Italian secretary of state for Tourism. Italy signed a protocol with China on Friday (19 January) to enhance alternatives to its traditional tourism routes. 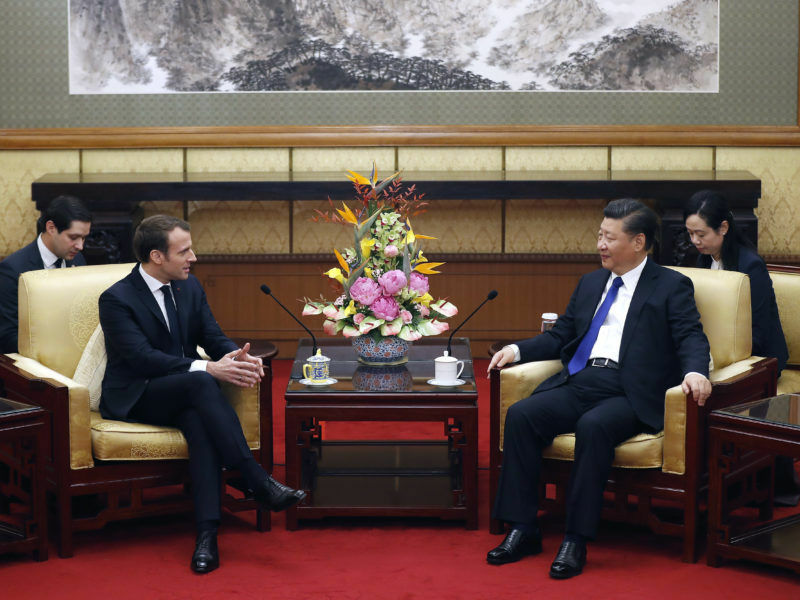 The charm offensive also includes a twinning of UNESCO sites in Italy and China and some kind of cooperation between the countries’ museums. But Europe is not alone. This year is also Turkey Tourism Year and the Canada-China Year of Tourism. To facilitate tourism, the EU and China are hoping to accelerate a system of reciprocal multi-year and multiple-entry visas, along the lines of the 10-year multiple entry visas put in place by the US and China. The UK and the Netherlands have already relaxed their visa requirements for Chinese tourists and businessmen.